Tom Hardy has gone full skinhead for his role in the upcoming Al Capone biopic. The actor was photographed on Monday (April 2) on the New Orleans, Louisiana set of Fonzo. Hardy will portray the notorious crime boss, nicknamed ‘Scarface’, which we’ve known about since casting was announced back in 2016. Ahead of filming, Hardy shared some photos from the set on his personal Instagram account giving us a first look at the actor in costume. The 40-year-old posted a snap which showed him sitting down in what appeared to be a prison uniform, sporting a shaven head – but he’s gone a grade shorter now and gone completely bald. 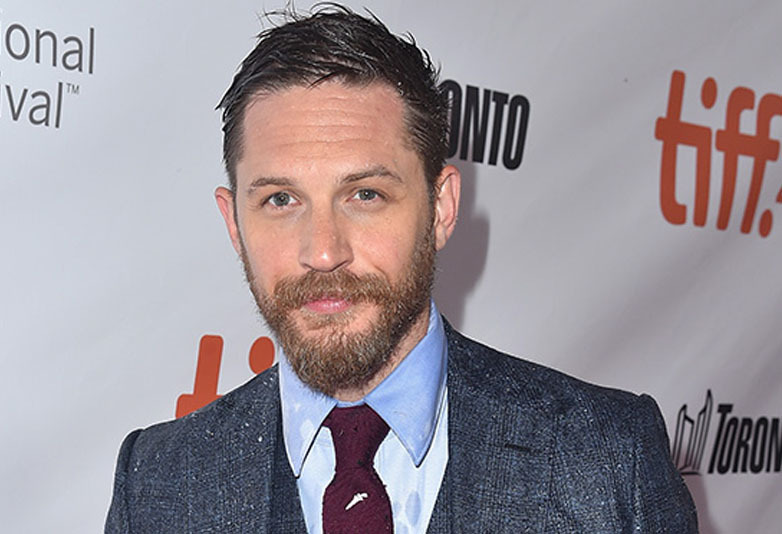 Having played the brutal Charles Bronson in Bronson, both Kray brothers in Legend and gang leader Alfie Solomons in Peaky Blinders, Hardy has portrayed his fair share of mobsters meaning he is well suited to take on Capone. As reported by Variety, the upcoming biopic will tell the story of Capone as dementia sets in bringing forward past memories of his violent lifestyle. When Capone was released he was in poor health shortly dying of a heart attack in 1947 at the age of 48. The film, which has been in development for a few years, is due to be directed by Josh Trank the man behind the groundbreaking science-fiction film Chronicle in 2012 and the critically panned Fantastic Four reboot in 2015. There is no official release date for Fonzo as it stands but there is one for the highly anticipated Venom – October 5. In the comic book adaptation Hardy will play Eddie Brock, a journalist who becomes bonded with an alien symbiote that subsequently gives him incredible powers. Hardy is also constantly rumoured to play James Bond once Daniel Craig retires from the role. Yesterday (April 2), he shared a screenshot of an article linking him to the role, on his Instagram – and did not flat out deny he would be playing Bond instead writing he is ‘good to go’. Only two months ago it was revealed Hardy was the bookies’ favourite to play Bond following Craig’s departure. According to Betway, Hardy knocked McMafia star James Norton off the top spot with 3/1 odds. Since then Hardy’s odds have improved to 9/4 as he edges even closer to getting a Licence to Kill. Do you think he’d make a good James Bond? Personally, I think he would.